Industrial Inspections: Drones / UAVs allow for a wide range of industrial inspections and surveys, in-house or on-site, depending on your needs. From towers to buildings, we are experts when it comes to industrial inspections. Our UAVs mean we are able to offer a wide range of industrial inspections and surveys, in-house or on-site, depending on your inspection needs. Tower climbing is a dangerous undertaking but cell phone towers need to be inspected and maintained on a regular basis so minor issues do not escalate into expensive repairs. 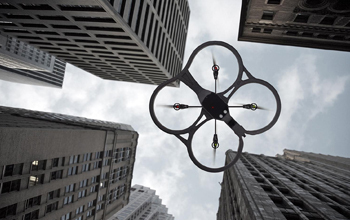 Using an UAV allows for a safe, quick, cost-effective view of even the tallest of towers. Commercial buildings need to be inspected on a regular basis to avoid costly damage but inspecting and climbing potential damaged infrastructure can be dangerous. In this case, an UAV can gain access and transmit valuable information without risking human life. Inspecting a flare stack manually is a dangerous, time-consuming, and costly process, especially in the case of a shut down. 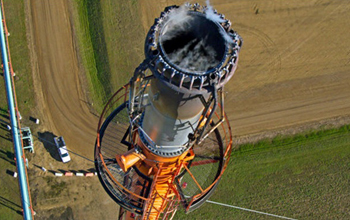 An UAV means detailed images of the stack’s components without an inspector having to climb the stacks. Roof inspections need to be carried out on a regular basis but many roofs are difficult to access or in a state of disrepair. UAVs offer hi-resolution imagery and close-up video of an entire roof area, without any walking on the roof required.